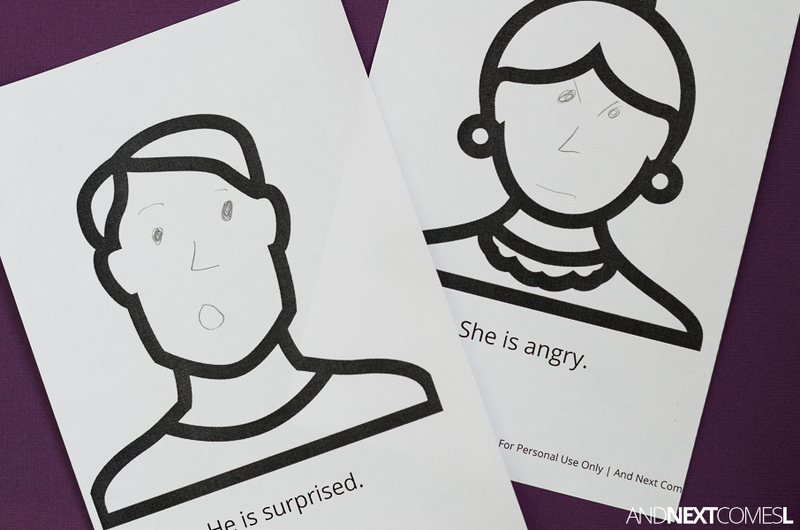 We've been doing a lot of work on developing speech and recognizing emotions here at home by using a lot of printables. 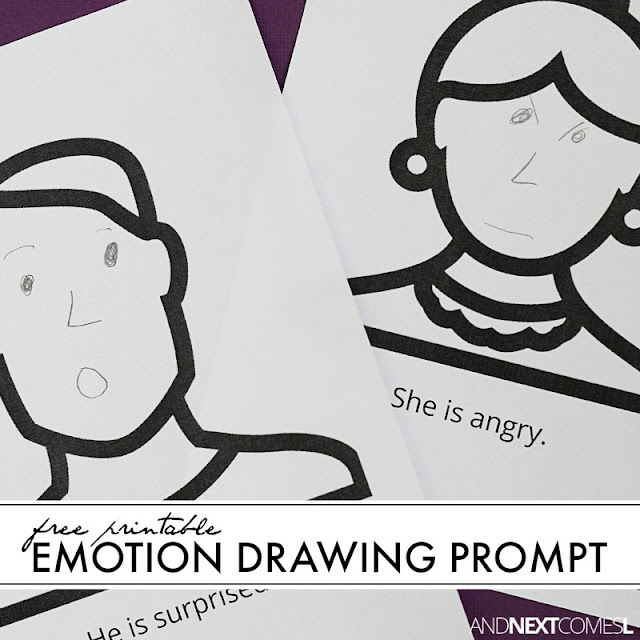 This free printable emotion drawing prompt for kids is a great way for kids to practice proper sentence structure in speech, reinforce correct pronoun usage, and work on identifying and recognizing emotions, both simple and complex. Download, print, cut, and laminate (optional) the free printable face templates. 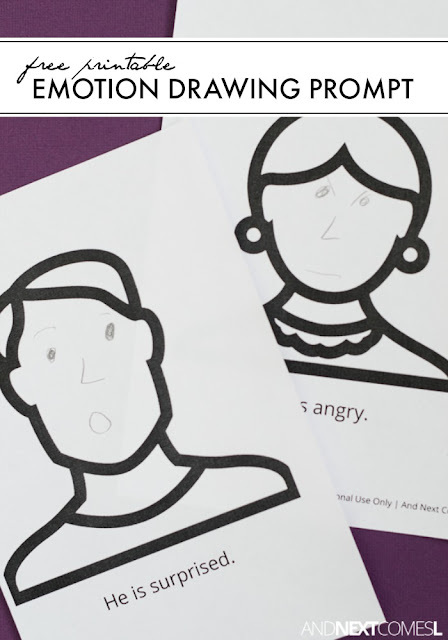 Laminating them is a great way to reuse these drawing prompts over and over. Just grab a dry erase marker for drawing the faces. When we work on these with my son, I encourage him to the read the sentence out loud. It reinforces correct pronoun usage and sentence structure, which kids with hyperlexia struggle with. There are a few emotions in this free printable that are a bit more complex. I had to prompt my son to make the face himself or look at me making the appropriate face so that he could examine things like mouth shape or what the eyebrows were doing. This printable includes 6 pages with 12 different faces to draw on. Each face includes a short sentence describing the emotion to draw. As I mentioned above, encourage your child to read the sentence out loud to practice pronouns in speech. I've been unable to download & print the "free downloads" listed on this page. The downloads look very interesting, but if I can't use them, I'll never know. I am also having trouble with the free download on this page even when I click the pink button and enter my email address.